What Is My Personal Injury or Car Accident Case Worth? There is no simple formula or magic trick to figuring out how much your injury case is worth. If things were that simple - both sides would always agree on the value of a case, injured accident victims would not need to hire a personal injury lawyer, and there would be much fewer lawyers. The truth is - injury cases are very subjective and each case too unique to arrive at a simple personal injury compensation formula. The same type of injury may affect one person differently than it affects another. For instance, a guitar player who loses a finger may have a substantial lost income claim if he or she can no longer perform but a cashier with the same injury may have very little or no lost income because having one less finger does not negatively impact job performance. Why is so hard to tell what my case is worth? Ultimately, the value of your personal injury case is what a jury may feel is fair to award or what you are willing to accept. But we never know that figure until the jury reaches a verdict or you decide to accept or reject a settlement offer. Making things more complicated - separate juries would likely arrive at different awards even when presented with the same exact evidence. Juries are made up of individual persons, each with different backgrounds, experiences, and philosophies about awarding damages for injuries. Each jury is different. From a settlement perspective – you may accept one amount on one day but a lower or higher amount on a different day. We simply do not know until we are faced with the decision! Agreeing on the value of intangible damage such as mental and physical pain and suffering, loss of enjoyment of life and disfigurement is difficult. Your results may vary greatly depending on your attorney’s skill and experience, trial presentation, the location of your trial, and how you present. In which Louisiana parish the case is filed (some parishes are considered more conservative, others more liberal). With so many variables affecting the value of a given case, you can see why no two cases are truly alike. Even if the injuries seem identical, other circumstances are not. Properly evaluating a personal injury case requires the knowledge, experience, intuition, and skill gained through years of involvement in handling them. If you are trying to figure out if you have a reasonable offer, you need to speak with a personal injury attorney in Louisiana who can help you figure it out! Loyd J. Bourgeois stands ready to help. Contact us to schedule your FREE legal consultation – (985) 240-9773. What Does My Personal Injury Attorney Do? When you are injured in an automobile accident, industrial incident, or other situation, you might consider hiring a personal injury attorney. Some of your friends and family, or the insurance company, may tell you that you do not need an attorney. When you are considering whether to hire an attorney or not, you should understand what a personal injury attorney can do for you. If necessary, negotiate the amount to be repaid, if any, from any recovery to health insurers. There may be other items necessary in any particular case and some of these items may take multiple steps. Your personal injury attorney should keep you advised about the progress of your case throughout this process. Likewise, you should keep your attorney fully aware of any medical treatment or other developments relating to your injury. You and your attorney should stay on the same page regarding the progress of your case. When you are seriously injured in a car crash or industrial incident, and you have to file a lawsuit, you will probably have to give a deposition at some point. What is a deposition? How do you prepare for a deposition? What should be on the lookout for in your deposition? Your Louisiana attorney is the best source for instructions and information about preparing for your deposition. In St. Charles Parish, I advise my clients on the ins and outs of the deposition process and what to expect. A deposition is a formal legal proceeding where you are sworn to tell the truth and your testimony is taken. It generally occurs at your lawyer’s office or another office, not in court. The deposition is basically a question-and-answer session with attorneys in the case asking you questions and you providing answers. The questions and answers along with all other conversations are transcribed by a court reporter and are sometimes videoed. Depositions are usually taken of you, the defendant(s), and other witnesses (including doctors, experts, and others). The purpose is to obtain sworn statements and information about the case – details of the incident, details of the injury, details of damages, etc. You should meet with your injury lawyer well before the deposition for preparation. Depending on the complexity of your case, the preparation can take anywhere from an hour or two to multiple hours or even days. A quick note about dress and behavior. You should dress appropriately like you are going to court - no T-shirts or shorts, club wear, dirty/torn clothing or hats. This is especially important if the deposition is videoed. You need to be mindful of your mannerisms, posture and how you conduct yourself. These non-verbal cues can reveal a lot about you and can impact your credibility. Do not get angry – Showing any hostility means you’re more likely to get flustered and say something without thinking. The other attorney may try to provoke you into an argument so it’s important to remain calm and control what you say. Do not guess – Don’t answer a question unless you are certain what the attorney means. Ask them to clarify if you don’t completely understand what they are asking. Tell the truth – not what you think the attorney wants to hear! Do not volunteer information – Answer all questions in concise statements, as the more you say, the more likely you are to volunteer potentially damaging information. Do wait for the attorney to finish the question – Take a moment to consider what the attorney just asked you and prepare your answer. Speaking without first thinking raises your risk of saying something you may regret. Your New Orleans personal injury lawyer should be familiar with some of the trick questions defense attorneys ask to try to get damaging statements out of witnesses. Trick questions are often misleading or confusing. You should remember you always have the right to ask for clarification before answering. Questions that assume facts that are not true – For example; “Can you describe what happened after the car in front of you hit the brakes?” would be a dangerous question to answer if the car did not, in fact, hit the brakes. Before you talk to the insurance companies, or submit to a deposition or examination under oath, you need to speak with a Louisiana personal injury attorney. Loyd J. Bourgeois stands ready to help. Contact us to schedule your FREE legal consultation – (985) 240-9773. Can I sue the State of Louisiana? Can I sue my parish or city for my injury? There is an old saying - “You can’t fight City Hall!” But, what happens if the State of Louisiana or your local parish or city government is responsible for your injury? 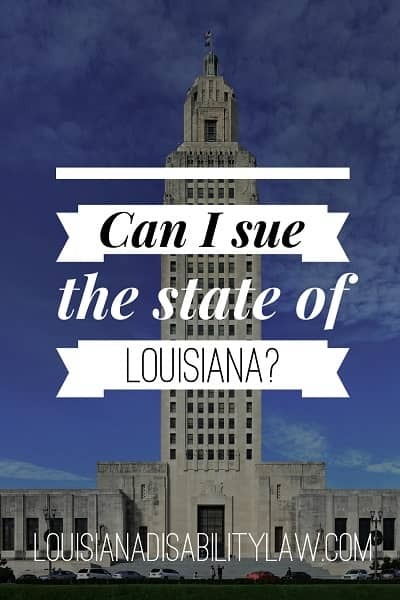 Can you sue the State of Louisiana? Can you sue your parish or city/town? The short answer is – probably. However, in some cases, the answer is no, or yes, but don’t expect to ever receive anything. A common claim against a governmental entity is for collisions with emergency vehicles. For example, you are driving and a police car flies through the intersection you have just legally entered. You hear the siren and see the lights, but you don’t have time to get out of the way before a collision occurs. Another example would be a wreck with your local parish’s public vehicle or if you are walking at a local park and the parish is cutting grass and something flies up and severely injures you. What if a bad roadway design contributed to your injury? The State of Louisiana and your local parish and/or city/town governments are usually bound by the same rules of negligence that apply to all others. There are some changes depending on circumstances – like for an emergency vehicle responding to a call – but generally, the negligence laws apply. Your case may be also subject to certain rules about where your lawsuit can be filed, when it must be filed, how much you can recover, and whether or not you can have a jury determine your damages. As a knowledgeable St. Charles Parish personal injury attorney, I can help you decide if you have a claim against your local parish/city/town or the State of Louisiana and if so, together we can hold them accountable for your damages. If you feel you may have a personal injury claim against a government entity, contact us today at (985) 240-9773. After A Wreck – Should You Go To A Doctor? Mark was involved in an accident at Airline Highway and Ormond Boulevard in Destrehan, Louisiana. He was headed home to Norco from his job in Metairie and was stopped at the right light. John was not paying attention to the road and was texting. He did not notice Mark had stopped due to the red light and crashed into the back of Mark’s truck. Mark felt a little stiff but declined the ambulance. He went home and then to work the next day, and the next. He felt stiff but figured it would get better. Before long, it was two weeks and the stiffness had not gone away. He decided to go to his doctor then. Jennifer was on her way to work in Raceland when she was rear-ended at the red light on Highway 90 and Bayou Gauche Road in Paradis, Louisiana. Just like Mark, it was the inattentive driving of a teenager trying to text while driving. Jennifer felt the stiffness in her neck and back immediately. She did not want to go in the ambulance and declined, but she went straight to urgent care after her husband picked her up from the scene. Assuming everything else is equal – type of injury, the length of treatment, lost wages, etc. – who protected themselves better? A big mistake I see after a car wreck is what is called a delay in treatment. 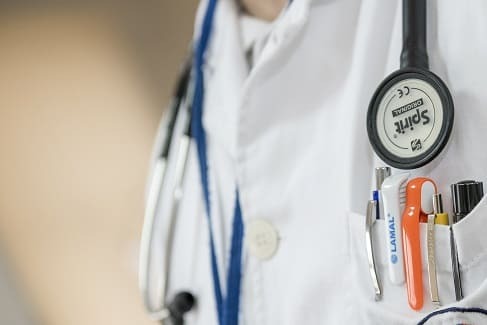 A delay in treatment is failing to see a doctor – any doctor - soon after the wreck. This is a big mistake for two important reasons. You are putting your health at risk. If you have been in a wreck, you really need to be checked out by a physician. Don’t be John Wayne or your dad – you know, the tough guys who think that they are too tough to be hurt and don't need to see a doctor. A medical doctor, chiropractor or other health care provider is trained to take a history, examine you and treat you if necessary. You will be better off seeing a health care provider and letting that provider confirm you are not injured. Delaying treatment can reduce the amount of any compensation you are entitled to receive and introduces uncertainty into your claim – were you really hurt by the collision or by some other incident? In understanding the second reason, you should know how insurance companies evaluate claims. They use sophisticated computer programs to help determine the value of your claim based on information specific to your case. The insurance adjuster obtains the case-specific information and feeds into the program. The program only works based on the information put into it and based only on this information will generate a settlement dollar amount. Once the program speaks, the adjuster is unlikely to increase the amount significantly. Because of this, it is very important that the data the insurance company feeds into the software is correct and complete. Delays in treatment are sometimes known to reduce the amount of money the insurance company pays. So how does a delay in treatment hurt the case – the date of first treatment is one of the first pieces of data that the insurance company will be feeding into their software. If you have seen a physician within that time frame then you have added what is called a value driver to your score in the insurance company software. There are more and larger value software drivers used in the software but in terms of time, this is the first important value driver that you want to have in your case profile. Here's the main takeaway – get checked out, preferably within 72 hours of the collision, to make sure you receive care if you need it and protect yourself in case a personal injury claim needs to be made. Often, accident victims don’t realize how injured they are until a day, or even two or three days, after the accident. Sometimes it's weeks before they realize that the lingering pain, stiffness, or soreness that they assumed would go away, hasn't stopped at all. But it is essential to seek medical care as soon as possible, both to determine the level of injury and receive proper treatment, and to strengthen your personal injury case later on. If you wait more than a week to see a doctor, you’ve just told the insurance company that your injury isn’t that bad. Not going to a doctor after an accident such a big mistake, that it is number one on my list of 7 Deadly Sins that Can Destroy a Personal Injury Claim. Epilepsy is a neurological disorder caused by unusual nerve cell activity in the brain. The hallmark symptom of epilepsy is a seizure. Statistically, 1 in 26 people is diagnosed with epilepsy and each year about 150,000 Americans are diagnosed. with the central nervous system disorder that causes seizures. Seizures can cause a range of symptoms, from momentarily staring blankly to loss of awareness and uncontrollable twitching. Some seizures can be milder than others, but even minor seizures can be dangerous if they occur during activities like swimming or driving. Our Luling office is often contacted to help evaluate disability claims for those with epilepsy. When we speak with you about your epilepsy disability claim, we will evaluate whether you can meet the Social Security Disability listing for epilepsy or if your epilepsy causes impairments that are not compatible with any work that may be available. If your epilepsy is not severe enough to meet these stringent requirements, it may still qualify you for disability benefits. We will have to work to accurately define how often you have seizures and experience problems with physical functioning; understanding, remembering and applying information; interacting with others; concentrating, persisting or maintaining pace; or adapting or managing yourself. Your specific limitations, including any caused by your medications or side-effects, must be taken into account and may be limiting enough to prevent work. To help define your limitations, a seizure diary may be helpful. This can be done by keeping a notebook where you write down the specifics of your seizures such a date, time started, time ended, effects (loss of consciousness, absence seizure, etc. ), the cause of the seizure, and how long after the seizure it took you to return to normal functioning. If you have a epilepsy and need help with your Social Security Disability claim, give us a call immediately at 985-240-9773 to see how we can help you prepare the best case possible for you! A soft tissue injury is the damage of muscles, ligaments, and tendons throughout the body. Common soft tissue injuries usually occur from a sprain, strain, or overuse. Soft tissue injuries can result in pain, swelling, bruising and loss of function. Soft tissue injuries are common in motor vehicle crashes and can be very painful. Soft tissue injuries may occur with or without other more serious injury. For example, you may have a soft tissue injury along with a herniated disc or just a soft-tissue injury. Typically, soft tissue injuries resolve with rest, conservative treatment (like physical therapy or chiropractic care), and/or anti-inflammatory medication. In some cases, the soft tissue may be severe and take an extended time to heal while in other cases the soft tissue injury heals quickly. If you have been in an auto wreck and suffered a disabling soft tissue injury, let our team help you navigate the process. We excel at fighting back against bullies who want you to accept less than you should! Call us today at (985) 240-9773. Can I file a lawsuit if I was partly at fault in a car accident? 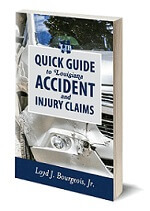 In some car crashes or auto accidents, determining who was at fault is easy. But, sometimes in a Louisiana car accident, two or more drivers share responsibility. In these cases, an injured driver may ask – can I file a lawsuit even if I was partly at fault in the collision? An SUV attempts passing a tractor-trailer in a no-passing zone, but the 18-wheeler swerves out of its lane and collides with the SUV. Who is at fault in these cases where each party has some responsibility? What if you were injured? Can you fight for your damages? In Louisiana – the answer is YES because Louisiana is a comparative fault state. What does Comparative Fault mean? Simply put - the Comparative Fault rule states that to the extent that someone was responsible for an accident, their damage amounts would be reduced proportionally. For example, let’s say you were the driver of that speeding car that collided with the light-less truck in the above example. At the end of the trial, a jury found you were 40% at fault and the driver of the truck was 60% at fault. The jury awarded a total of $100,000 for your damages. To figure out how much you would ultimately receive, you would take the total award ($100,000) and multiply by the fault of the other party (60%), so you would receive $60,000. You cannot recover for your own fault. How is Your fault determined? There is no hard-and-fast formula to figure out how much fault is your and is others. The percentage of fault is left up to the discretion of the insurance company adjusters (during settlement) or the jury/judge (in trial). In cases where your own fault is an issue, a Louisiana personal injury attorney can help advocate for a fair percentage of responsibility. You make the decision – will engaging a qualified Louisiana personal injury lawyer help you protect your rights and interests? Louisiana personal injury and disabling injury attorney Loyd Bourgeois can help you recover damages for medical bills, ongoing medical treatment, property damage, and other accident-related expenses. For a free, no-obligation conversation about your case, call us today at (985) 240-9773. Is the settlement offer from the insurance company fair? When you are injured in an automobile crash or car accident, sometimes the insurance company will make you an offer to settle your claim. You wonder – is the offer fair? How much are your medical bills? What about in the future? How much will you have to pay to repair your car? Did you suffer other property damage? How much have you lost in income or potential income because of your injuries? What about other financial losses – like fringe benefits? Will you get better? Is that certain? What long-term medical treatment and therapy is needed? Do you have to purchase medical supplies, such as a walker or a wheelchair? How has your life been impacted – housework, hobbies, events? Did you suffer any emotional impacts – anxiety, depression, PTSD? Have you had to seek counseling? How have your relationships been impacted? These are just a few areas that You need to explore before you decide if your offer is fair. There are others. 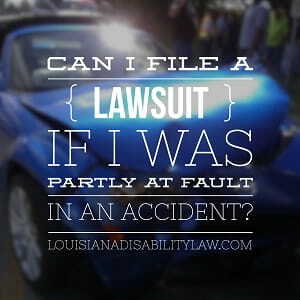 If you need help evaluating whether you were offered a fair settlement from an attorney, Louisiana Disabling Injury and Louisiana Personal Injury attorney Loyd Bourgeois at Louisiana Disability Law can look at the specifics of your case to help you decide what is fair in your Louisiana personal injury lawsuit. Contact us for a FREE NO OBLIGATION conversation about your insurance offer – (985) 240-9773. What does 'DSM-5' or 'DSM-V' refer to when discussing Social Security Disability for Mental Disorders? The Diagnostic and Statistical Manual of Mental Disorders, Fifth Edition (DSM-5) is the most recent update to the American Psychiatric Association's (APA) classification and diagnostic tool. The DSM is the universal authority for psychiatric diagnoses. Treatment recommendations are often determined by DSM classifications. In most respects DSM-5 is not greatly changed from DSM-IV-TR but there are some notable changes including dropping Asperger syndrome as a distinct classification; loss of subtype classifications for variant forms of schizophrenia; dropping the "bereavement exclusion" for depressive disorders; a revised treatment and naming of gender identity disorder to gender dysphoria, and removing the A2 criterion for posttraumatic stress disorder (PTSD) because its requirement for specific emotional reactions to trauma did not apply to combat veterans and first responders with PTSD. 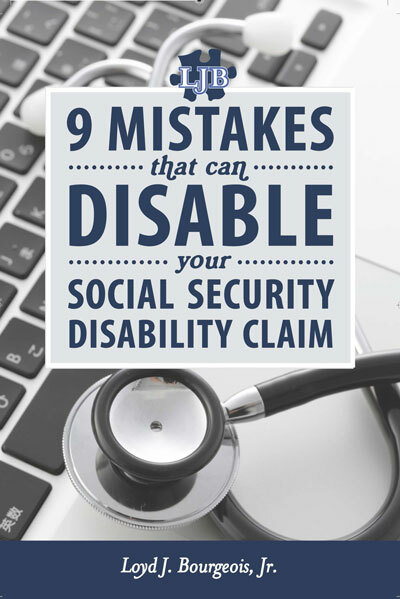 If you or someone you love have a mental disability and are fighting for Social Security disability benefits, give us a call at Louisiana Disability Law. We have the experience to guide you through this difficult process.